This lovely ranch style home is beautifully updated and turn key ready! Boasting an open floor plan with wood floors, a cozy field stone wood burning fireplace, and double French doors which capture the abundant sunlight. The kitchen boasts slab granite countertops and all appliances are included. The home has Hardie Board siding and newer vinyl windows. The fenced back yard has been professionally landscaped and features abundant gardening opportunities and play space. Ideally located, this home provides close proximity to the local community playground, Pence and Corwina Open Space Parks, popular restaurants and other amenities. 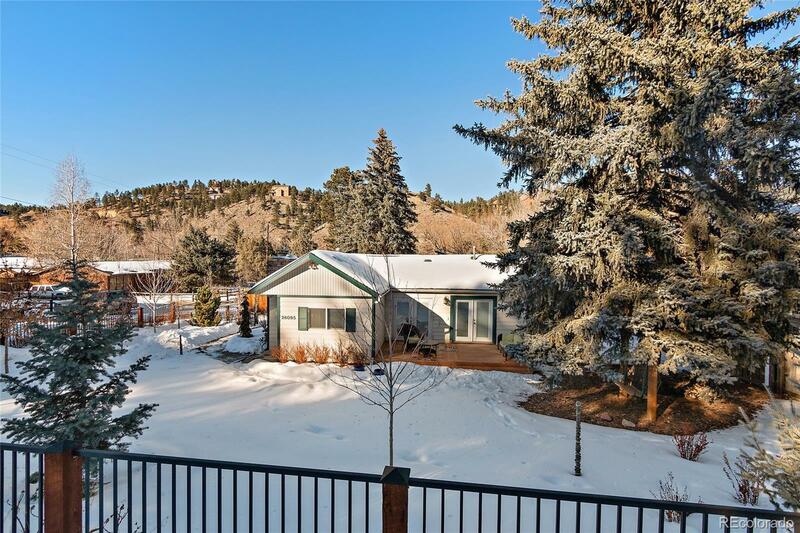 This house offers Comcast high-speed internet so working from home is a breeze, however if commuting is necessary there is quick access to both Highway 285 and C-470.